2 - Blythe Twp. Station 1 - Kaska Vol. Fire Co.
Station 2 - Phoenix Park Fire Co.
Station 2 - Lavelle Vol. Fire Co.
Station 3 - Locustdale Fire Co.
5 - Cass Twp. Station 1 - Duncott Hose Co.
Station 4 - South Cass. Citizens Fire Co.
6 - Delano Twp. Station 1 - Delano Fire Co.
Station 2 - Sheppton-Oneida Fire Co.
10 - Eldred Twp. Station 1 - Mahantongo Valey Fire Co.
11 - Foster Twp. Station 1 - Mt. Pleasant Fire Co.
12 - Frailey Twp. Station 1 - Donaldson Fire Co.
13 - Hegins Twp. Station 1 - Hegins Fire Co.
Station 2 - Valley View Fire Co.
14 - Hubley Twp. Station 1 - Sacramento Community Fire Co.
19 - N. Union Twp. Station 1 - Nuremburg/Weston Fire Co.
20 - Norwegian Twp. 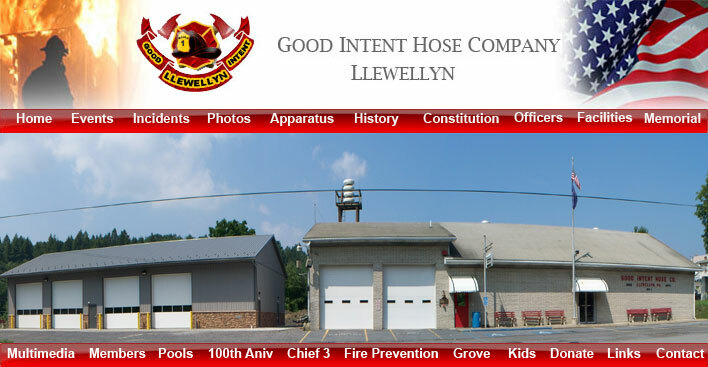 Station 1 - Mar-Lin Citizens Fire Co.
Station 2 - Seltzer Hose Co.
21 - Pine Grove Twp. Station 1 - Ravine Fire Co.
Station 2 - Suedberg Community Fire Co.
22 - Porter Twp. Station 1 - Muir Vol. Fire Co.
Station 2 - Orwin Fire Co.
Station 3 - Reinerton Fire Co.
Station 4 - Joliett Vol. Fire Co.
Station 2 - Newtown Fire Co.
25 - Rush Twp. Station 1 - Hometown Fire Co.
Station 2 - Quakake Vol. Fire Co.
26 - Ryan Twp. Station 1 - Ryan Twp. Fire Co.
27 - Schuylkill Twp. Station 1 - Brockton Fire Co.
Station 2 - Mary D. Vol. Fire Co.
Station 3 - Tuscarora Fire Co.
30 - Union Twp. Station 1 - Union Twp. Vol. Fire Co.
32 - Walker Twp. Station 1 - New England Fire Co.
34 - Wayne Twp. Station 1 - Friedensburg Fire Co.
Station 2 - Summit Station Fire Co.
36 - W. Mahanoy Twp. Station 2 - Heights Fire Co.
Station 3 - William Penn Fire Co.
Station 4 - Altamont Fire Co.
37 - W. Penn Twp. Station 1 - West Penn Fire Co.
Station 2 - Andreas Fire Co.
38 - Ashland Station 1 - American Fire Co.
Station 2 - Washington Fire Co.
39 - Auburn Station 1 - Auburn Fire Co.
40 - Coaldale Station 1 - Coaldale Fire Co.
Station 2 - Goodwill Fire Co.
42 - Deer Lake Station 1 - Deer Lake/W. Brunswick Fire Co.
43 - Frackville Station 1 - Goodwill Fire Co.
45 - Girardville Station 1 - Girard Hose Co.
Station 2 - Ranger Hose Co.
46 - Gordon Station 1 - Citizens Fire Co.
47 - Landingville Station 1 - Landingville Community Fire Co.
Station 2 - Good American Hose Co.
Station 3 - Humane Fire Co.
Station 4 - Washington Hook & Ladder Co.
Station 5 - West End Fire & Rescue Co.
49 - McAdoo Station 1 - Keystone Fire Co.
Station 2 - McAdoo Fire Co., Inc.
50 - Mechanicsville Station 1 - Mechanicsville Hose Co.
51 - Middleport Station 1 - Citizens Fire Co.
52 - Minersville Station 1 - Goodwill Hose Co.
Station 3 - Mountaineer Hose Co.
53 - Mt. Carbon Station 1 - Mt. Carbon Fire Co.
54 - New Philadelphia Station 1 - Good Intent Fire Co.
55 - New Ringold Station 1 - New Ringold Community Fire Co.
56 - Orwigsburg Station 1 - Friendship Hose Co.
57 - Palo Alto Station 1 - Citizens Fire Co.
Station 2 - East End Fire Co.
58 - Pine Grove Station 1 - Hose, Hook & Ladder Co.
Station 2 - North End Fire Co.
59 - Pt. Carbon Station 1 - Goodwill Fire Co.
61 - St. Clair Station 1 - Alert / Columbia Fire Co.
Station 2 -Alert / Columbia Fire Co.
Station 3 - Rescue Hook & Ladder Co.
Station 5 - West End Fire Co.
63 - Schuylkill Haven Station 1 - Rainbow Hose Co.
Station 2 - Schuylkill Hose Co.
Station 4 - Liberty Fire Co.
64 - Shenandoah Station 1 - Columbia Hose Co.
Station 2 - Defender Hose Co.
Station 3 - Phoenix Fire Co.
Station 4 - Polish-American Fire Co.
Station 5 - Rescue Hook & Ladder Co.
65 - Tamaqua Station 1 - American Hose Co.
Station 2 - Citizens Fire Co.
Station 3 - East End Fire Co.
Station 4 - South Ward Fire Co.
66 - Tower City Station 1 - Volunteer Fire Co.
67 - Tremont Station 1 - Tremont Fire Co.
68 - Pottsville City Station 1 - Good Intent Fire Co.
Station 2 - Phoenix Fire Engine Co.
Station 4 - Goodwill Fire Co.
Station 5 - West End Hose Co.
Station 6 - Yorkville Hose Co.
Station 7 - American Hose Co.
Station 8 - Greenwood Hill Fire Co.